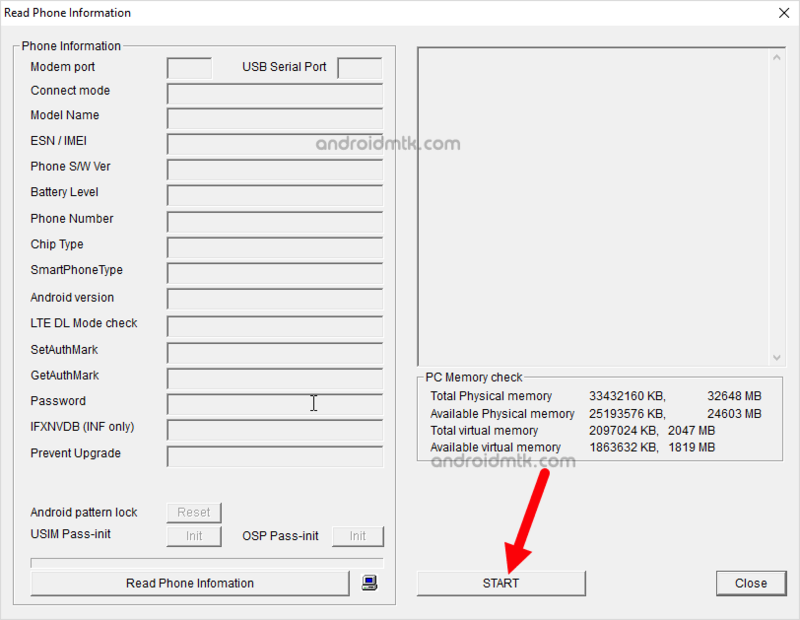 These are the instructions to use the LG Flash Tool to flash the Stock Firmware on LG Smartphone, Tablets and FeaturePhone. Requirements: You need to have the official stock firmware (.kdz or .cab) of your LG Mobile device to follow the following guidelines. Step 1: Download and install the LG USB Driver on your Computer. If in case drivers are already installed, then SKIP this step. 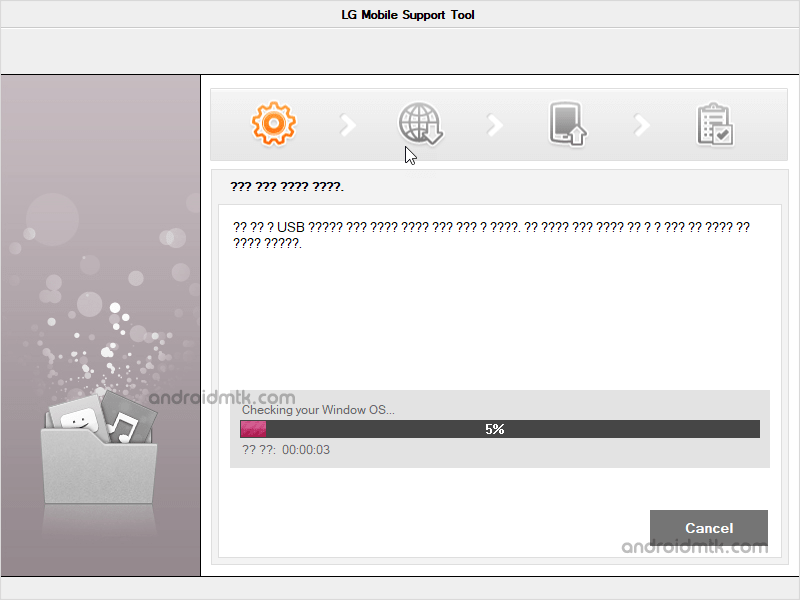 Step 3: Now, you need to boot your LG Device into the downloading mode. To boot into the downloading mode, you need to Press and Hold Volume UP button of your Mobile device and connect the USB cable to the Mobile device (make sure it is already connected to the computer first). Step 4: Now Open LGFlashTool2014.exe. Step 6: Now, under the Select Type Drop Down, Choose CDMA. Step 7: Now, Click on the Select File button and Locate the Stock firmware (ROM) of your device (assuming you have already downloaded the stock firmware of your device). Step 8: Now, Click on the Normal Flash Button. Step 9: Now, under the Phone read information dialog box, Click on the Start Button. Step 10: Now, a Small Country and Language Dialog Box will open on the Screen. You need to Choose the Language as per your choice. Step 11: After Choosing the Language, Click on OK button. Step 12: Now, Flashing process will start automatically and may take 5-10 minutes to complete (depending on the size of the firmware). Step 13: Once flashing process is completed, your Mobile device will reboot automatically. Step 14: Once your Mobile device is ready to use, disconnect it from the USB cable and Close the Flash Tool on your computer. Congratulations, you just learned to flash the Stock Firmware on any LG Mobile device in the world. 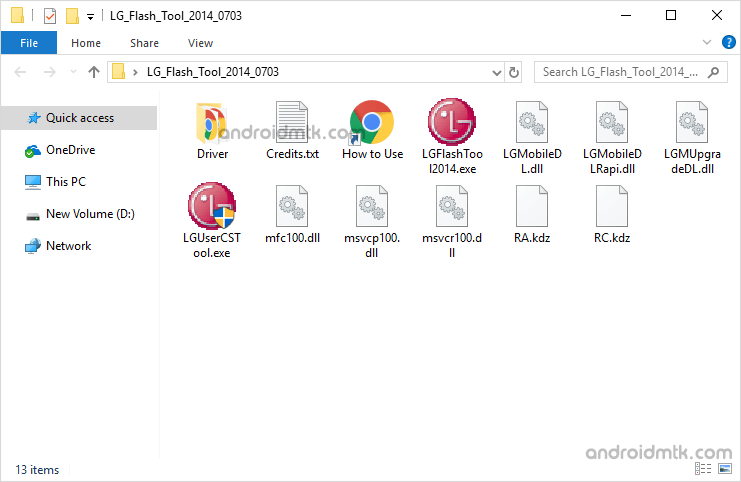 [*] LG Flash Tool: If you want to download the latest version of the Flash Tool, then head over to Download LG Flash Tool page. 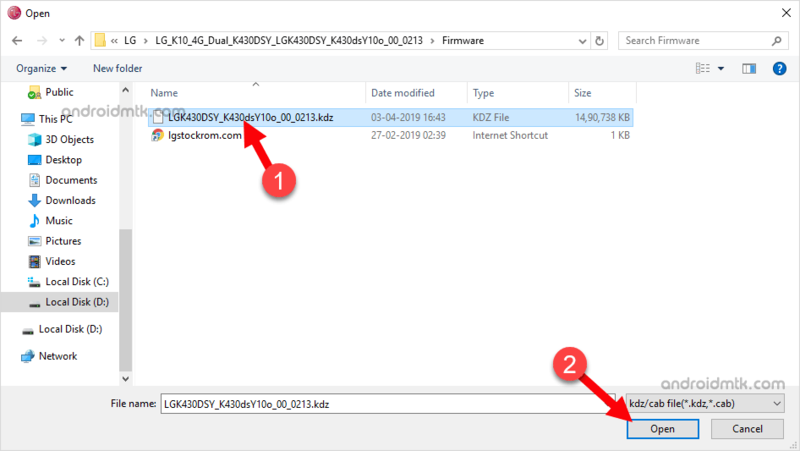 [*] LG USB Driver: If you are looking for the Original LG USB Driver then head over to the LG USB Driver for Windows or LG USB Driver for Mac Page. [*] Credits: The Application was created and distributed by LG Vietnam Community. So, full credits goes to them for sharing the Application for free.